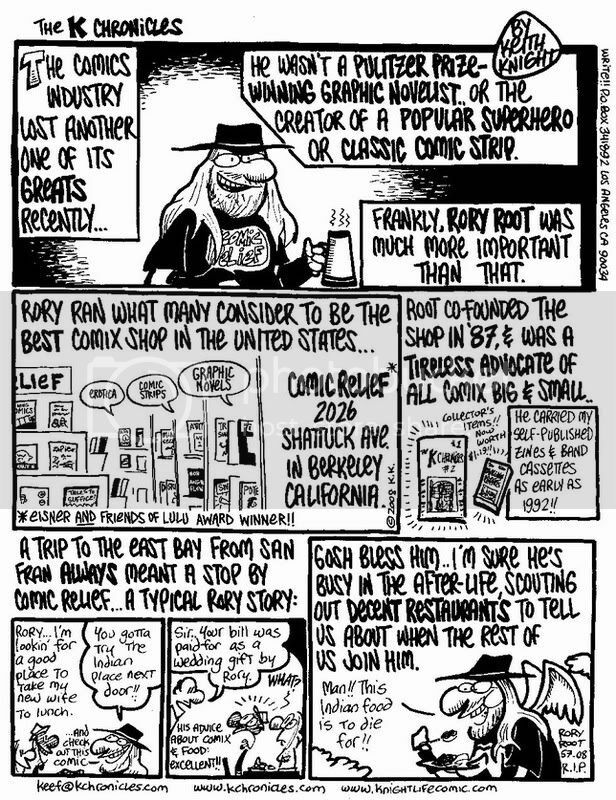 FROM THE MIND OF TOM BELAND: KEITH KNIGHT'S TRIBUTE TO RORY ROOT. This comic says it all. Great job, Keith!